A-1 COMMUNITY IN WEST BOCA. 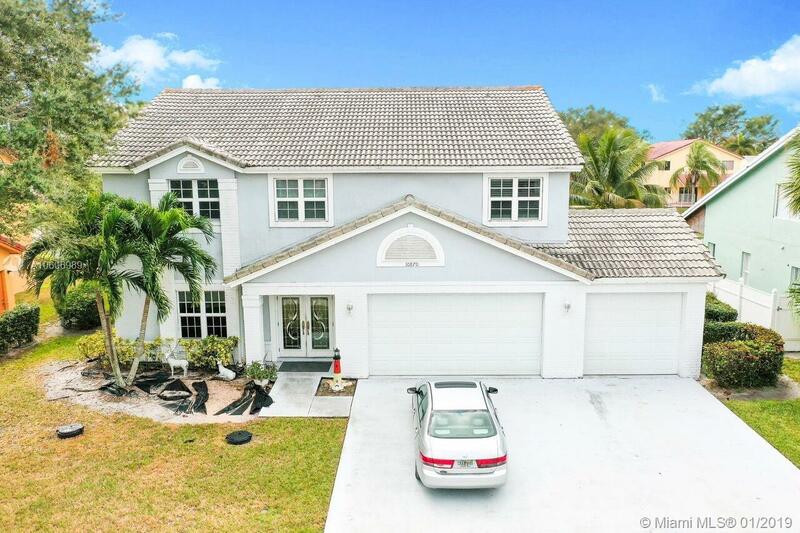 2 STORY-4 BEDROOMS 2 1/2 BATH-3 CAR GARAGE ON WATERFRONT LOT. OVER 3,000 SQ. FT. LIVING AREA. NON GATED COMMUNITY CLOSE TO HOSPITALS, HIGHWAYS, PARKS, BEST SCHOOLS & MORE! HOME FEATURES NEWER FLOORING ON 1ST FLOOR & UPSTAIRS 3 BEDROOMS INSTALLED 4 YRS AGO. PLANTATION SHUTTERS. HUGE MASTER BEDROOM W/SITTING ROOM/WALK IN CLOSETS/VAULTED CEILINGS. MASTER BATHROOM W/ROMAN TUB & SEPERATE SHOWER. NEWER A/C UNITS. CROWN MOLDING. SOLID WOOD DOORS. DOUBLE FRONT DOOR ENTRY. HURRICANE WINDOWS/DOORS. 300 SQ. FT. OF COVERED/SCREENED PATIO OVERLOOKING LAKE. NICELY MAINTAINED COMMUNITY WITH LOW HOA, COMMUNITY POOL & OTHER ACTIVITIES WALKING DISTANCE. SCHEDULE YOUR SHOWING TODAY! Directions: 441 S To Judge Winikoff Turn Right Go To Fox Glen Turn Right House Is On Left.